Amer Dual Monitor wall mount system. Mount a keyboard, 2 monitors and mouse creating a height adjustable combo workstation. Features include up down left & right movement. Fold up keyboard tray. 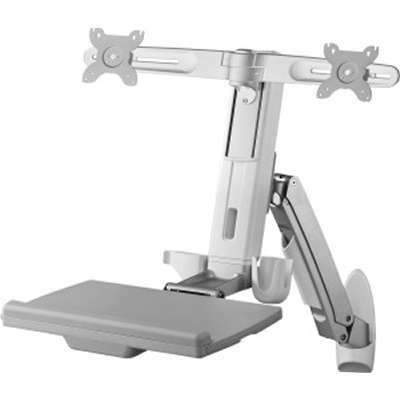 Display can be raised, lowered, rotated & tilted.